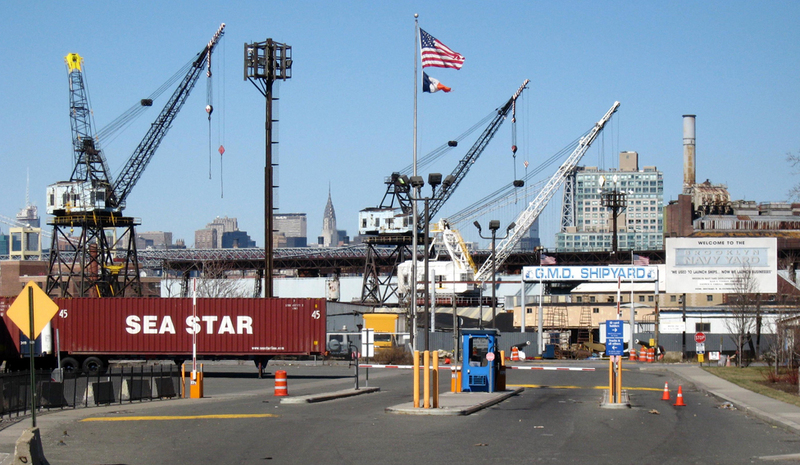 Over the years, the Brooklyn Navy Yard has become a modern manufacturing pole, and it has grown to host spaces for everyone from furniture makers to photographers to even financial services companies. Demand for space has grown tremendously, and in response, the Navy Yard has announced plans to create another 1.8 million square feet of space for both future and current tenants looking to grow their businesses. Currently, the Navy Yard’s 4.5 million square feet of leasable space is at a 99 percent occupancy rate, and 16 leases have been renewed this year — one of which included Crye American, a military equipment and apparel manufacturer that has been at the yard for more than a decade. There is a growing list of prospective tenants waiting to gain access to the 300-acre park, and since 2001, employment in the yard has almost doubled from 3,600 to roughly 7,000 jobs. As president and CEO of the Navy Yard, David Ehrenberg, tells Crain’s: “Our tenants are looking to expand. Our challenge as a landlord isn’t turnover, it’s finding space for the people that want to grow in the Navy Yard.” The Navy Yard has focused on growing and supporting local manufacturing with a “Made in New York” mantra at their core — a proven approach that has kept tenants like Crye around and in it for the long haul. Around $200 million in basic infrastructure investments from city agencies, and $6 million from the state will go into growing green manufacturing in the Navy Yard. The expansion will be the biggest for the industrial park since WWII.